Nigeria has Africa’s largest mobile market with hundred millions of subscribers and still growing. This proves that connectivity in Nigeria is widely dominant in its populace. Nigerian mobile network operators are in great show-off of whether which among of them is best. In this post, we will unveil the top Nigerian mobile network accordingly to the subscribers’ pick. MTN Nigeria is a junior company of Africa’s leading telecommunication company, MTN Group. MTN Nigeria is ranked no. 1 among the list of 101 best mobile networks operators across Africa. MTN became the first GSM network to make a call ‘following the globally lauded Nigerian GSM auction’ by the Nigerian Communications Commission (NCC) in May 2001. MTN became Nigeria’s favorite because of its excellent and cost-efficient services both for personal and business sectors. MTN Nigeria Communications Ltd. (MTNN) is the group’s largest provider of ICT solutions and cellular network access. It also dominated Africa as being the biggest mobile operator since the start of saga. Globacom, or the popularly known Glo, is one of the leading Nigerian mobile network operators. It was founded in 2003 and since then, Glo Mobile soared in being part of Africa’s communication life. Glo Mobile offers low-cost prepaid and postpaid bundles for messaging, data, and broadband for private individuals and business developers. Glo Mobile is headquartered in Nigeria and is present in other big cities of Africa. Glo Mobile lowest bundle starts only at ₦50 and can go as high as ₦18,000 for larger scale of data. Glo Mobile has 20% share in the African market for its over 24 million active subscribers. Bharti Airtel Ltd. is widely known as Airtel. Airtel is one of the largest Nigerian mobile network operator that is operating multinational. It is present in 20 countries across Africa and Asia. The company provides spectrum of network services like 2G, 3G, and 4G band and broadband solutions through DSL, IPTV, and DTH. Headquartered in New Delhi, the company is sharing 21% in Africa’s market having over 26 million subscribers in Nigeria. Airtel has a broad menu of prepaid and business services for the public and private sectors. For only ₦100, you can start surfing the internet with Airtel. 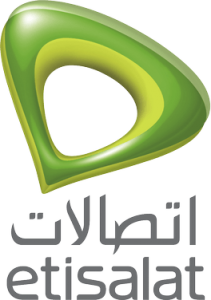 Etisalat is a multinational telecommunication company based in UAE. Trading as Etisalat, Emerging Markets Telecommunication Services (EMTS) is a merged private Nigerian company in shoulder to shoulder with Mubadala Development Company and Etisalat Arab Emirates. Etisalat was established in the United Arab Emirates in 1976 and set footprints on Nigeria and other Asian countries and Middle Eastern ends. In 2008, the company promoted the “0809uchoose” campaign – a remarkable ad that lets customers customize their very own handpicked mobile number. The company continues to pursue customer-centric innovations as it continues to grow internationally. Etisalat has also won a number of remarkable accolades. It has been recognized as the most innovative product or service launched in the last 12 months and the most innovative idea for driving mobile broadband use in Nigeria – Checkout top Etisalat plans. The telecommunication companies listed above are the most subscribed and are the top Nigerian mobile network operators. They even operate outside the borders of Nigeria. There are more competent mobile network providers but only these for have won the heart of the Nigerian locals. They offer a wide variety of messaging plans, data bundles, and broadband settlements from low-cost to high-priced values. i do work with airtel and i have been there for a long time.there is no way any other network can beat us.last year.i registered 3800 subscribers with my kyc device.so pls others just go and sleep.thanks for enviously reading. are you just trying to show off insignificantly? Airtel iz d best among all. glo is the best among the best in nigeria. Why Can Use My Glo In Aba.D Service Is Very Slow Close To Nothing?